Fall solar tariffs was due to a steep decline in module prices and government guaranteeing transmission of power from solar plants. But, why are tariffs for the wind sector declining? 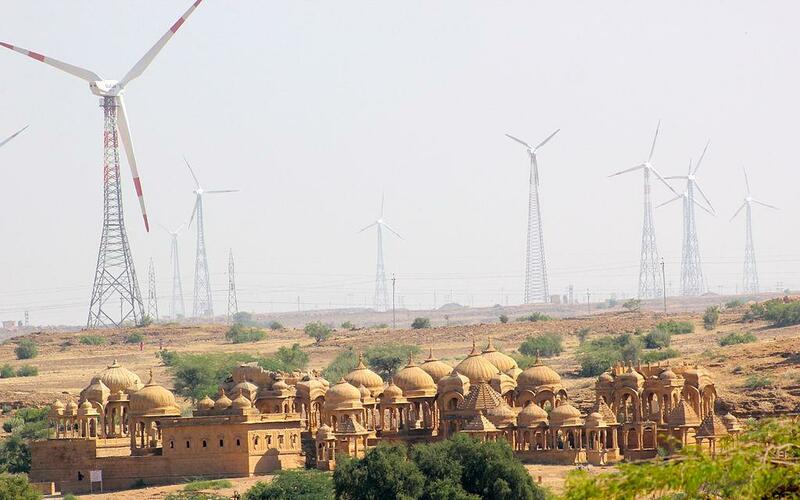 The Solar Energy Corporation of India (SECI) conducted a second bid for 1,000 mega-watts (MW) for wind power projects. Nine companies won the bids—ReNew Power (250 MW), Orange Sironj (200 MW), Inox Wind (250 MW), Green Infra (250 MW) and Adani Green (50 MW). The lowest tariff that won the bid was by Renew Power and Orange Sirong, quoting Rs 2.64 per unit. The remaining bids were of Rs 2.65 per unit. All the proposed tariffs lower than tariff of Rs 3.46 per unit that was lowest bid in the last 1,000 MW auction earlier in the year in February and Rs 4.5 per unit in the auctions before that. It is remarkable step for wind sector since now wind tariffs are lower than the average price for power from NTPC is Rs 3.20 per unit. The tender was an attempt on the part of SECI to help non-windy states to install wind capacity. It was linking the wind installation to inter-state transmission system. There have been questions that reducing solar tariffs were a result of declining prices of solar modules and anticipation of them falling further in the coming year. However, this is not the case for wind turbines, but they are increasing in efficiency and that might help in tariff reductions. There is also speculation that some companies like Renew Power have gained access to loans at lower rates of interest because of the power purchase agreement (PPA) would be a centrally-owned public sector undertaking and not with a state (which is the case for most wind projects). Another advantage that wind developers had was that they were open to choose any site under these SECI auctions and it would be near a transmission system. Wind sector has been plagued with evacuation issues and this closeness to the grid would ensure less curtailment or at least that is the hope for the developers. Many analysts fear that the low tariffs would result in small players being pushed out of the market. Low bids depend on having access to low cost of finance that small companies would not be able to acquire. 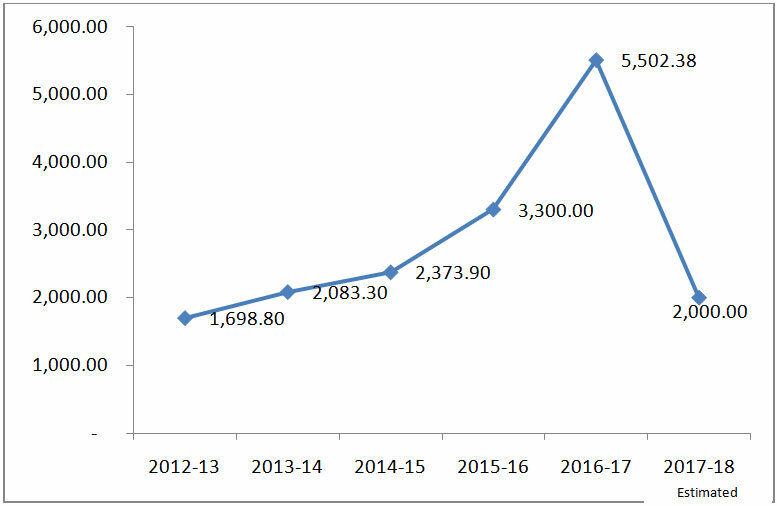 Moreover, wind sector has also seen that the installations every year have been going down (Refer to Figure: Capacity addition in wind sector), which means that the few opportunities that exist would be taken over by few companies that can compete at these prices. Very similar to the trends in the solar sector, many state governments are now attempting to renegotiate wind tariffs for already signed PPAs because of the low bid price of Rs 3.46 per unit in February. The lower tariff of Rs 2.64 would only make things worse. Tamil Nadu and Karnataka have started to get the tariff of Rs 4.4 per unit and Rs 4.5 per unit reduce down to Rs 3.4 per unit and Rs 3.75 per unit respectively. The government has accomplished grid parity both in cases of wind and solar power against the great ambition of 100,000 and 60,000 MW targets respectively. But it has to ensure that these projects get installed and start feeding power into the grid before starting celebrations.